The T2/Bus lane proposed by Auckland Transport for the duration of the AMETI/Eastern Busway construction phase requires further thought and community input, and I am urging AT to take note and consult with the community. The proposal would convert the left-hand lane on Pakuranga Road heading towards Panmure into a T2/Bus lane between Highland Park and Ti Rakau Drive, removing a lane from use by single occupant vehicles. Auckland Transport argue that this is required as part of a package to reduce the number of cars travelling on Pakuranga Road towards Panmure at peak time by approximately 10% during the construction period of the AMETI/Eastern Busway. Other parts of the package include a proposed Park and Ride at Lloyd Elsmore Park with express buses through to Panmure and increasing use of the ferry, whilst encouraging those who can to change travel patterns to less busy times of the day. While we expect some impact caused by the construction of the AMETI/Eastern Busway, the particular proposal of reducing the number of lanes for motorists will have a large impact on the traffic patterns of thousands of people and must be carefully thought through. 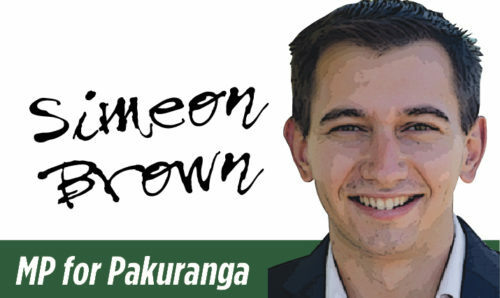 Statistics suggest that if Pakuranga Road was a State Highway it would be the 4th or 5th busiest in New Zealand with around 50,000 vehicle movements per day, but this fact won’t come as any surprise to the people who use it every day. We all know that we must increase public transport patronage and that a T2/Bus lane will provide some benefits to those car-pooling or busing, however, we must also consider the impact on those who rely on their car to get to work and don’t have other options. One of the potential impacts will be the effect on some of the busy intersections along Pakuranga Road. For example, one of the intersections that will be majorly impacted will be the intersection of Pakuranga Road and Gossamer Drive. As we know, the left-most lane heading from Cascades Road to Gossamer Drive is a left turn only lane, and if it’s converted into a T2/Bus lane it will have a dramatic effect on traffic wanting to turn into Gossamer. People turning left into Gossamer Drive will now need to use the middle lane and then merge with the T2/Bus lane before they can turn left. Those in the T2/Bus Lane will go straight through the intersection in the left most lane but will then need to merge back into the 2 lanes going up the hill towards Glenmore Drive. All of which is likely to result in a bottleneck at that intersection. What concerns me most is AT’s lack of detailed information regarding this proposal which is to be implemented by April when construction starts on the AMETI Eastern Busway. Councillors Sharon Stewart and Paul Young, Howick Local Board chair David Collings, and I, have been shown nothing more than a few lines on a map. The community deserves to be informed and to have a chance to tell Auckland Transport what they think before any decisions are made. Since AT have refused to undertake consultation, I’m doing it for them. Visit my website, simeonbrown.national.org.nz, to give your feedback. I am also holding a public meeting to discuss these proposals and have requested Auckland Transport to present their ideas to the community and to provide proper detail. This meeting will take place on February 27 at 7pm at the Bucklands Beach Yacht Club.